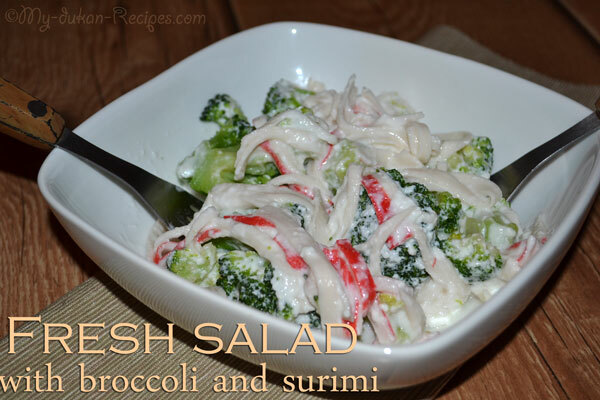 A fresh salad, dukan recipe, that you can eat it anytime on your PV days! Hope you like because it is easy to prepare and you can eat it at home or while you are away. Cut the head into flowerets and the stem into bite-size pieces. Place in a large bowl. 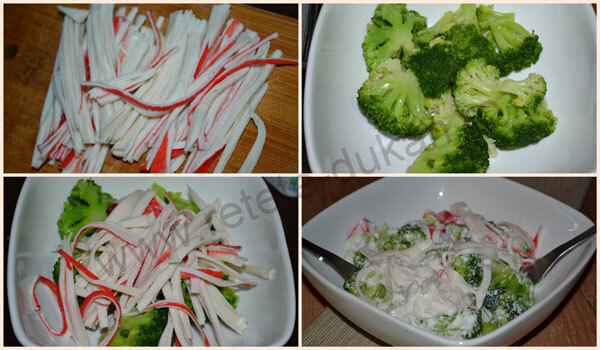 Cut the surimi stick (you may also use turkey or chicken) and add it to broccoli. In a small bowl, combine the remaining ingredients, stirring well. Add to broccoli mixture and toss gently. Place it in the refrigerator for 30 minutes.